From the Civil War Memoirs of Mrs. Lucy Hutchinson; Mrs Alice Thornton; Ann, Lady Fanshawe; Margaret, Duchess of Newcastle; Anne, Lady Halkett, and the Letters of Brilliana, Lady Harley. Edited and introduced by Roger Hudson. 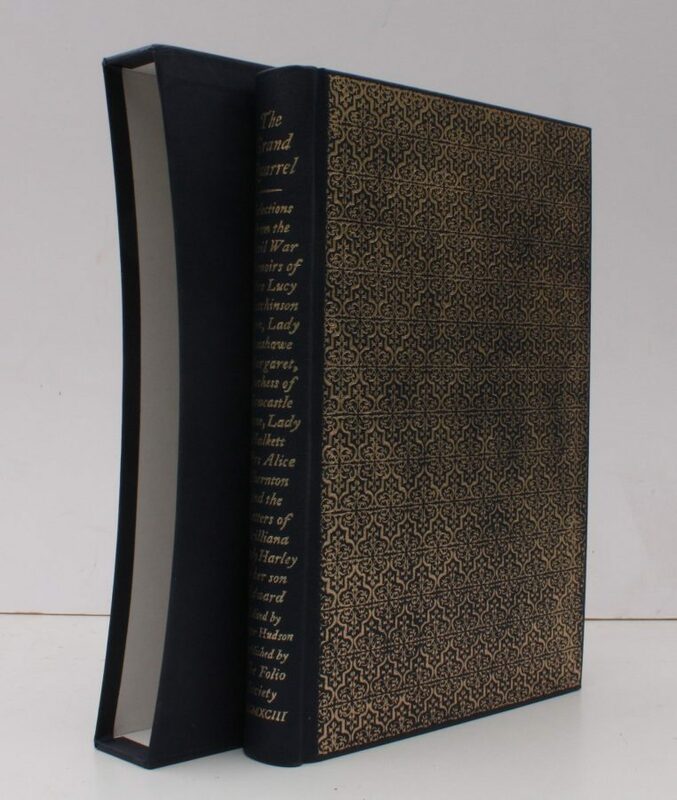 8vo., First Edition thus, on laid paper, with plates; navy cloth, boards and backstrip elaborately blocked and lettered in gilt, blue top, pale blue endpapers, a near fine copy in publisher's board slip-case.